Research and new technologies have dramatically expanded the amount of data that can be captured from the brain over the past few years. The challenge now is to determine what that data can tell us. 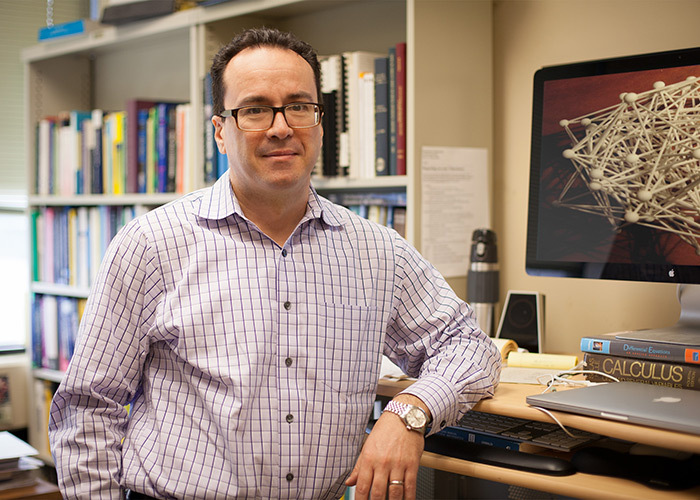 Identifying the connections between neurons and their functional role is the core goal of the UH-led NeuroNex center funded by the National Science Foundation. 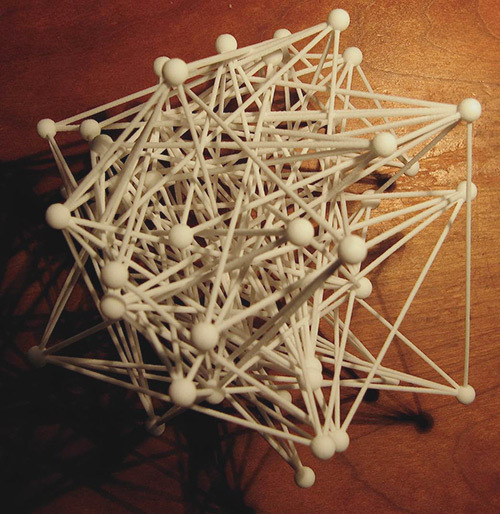 Xaq Pitkow of Baylor College of Medicine created this abstract 3D model of connected neurons. A group of researchers, led by Krešimir Josić, a mathematical biologist at the University of Houston’s College of Natural Sciences and Mathematics, has been awarded a $4.39 million grant from the National Science Foundation to develop new methods to analyze and interpret neural data. The five-year grant was issued through the NSF NeuroNex program, or Next Generation Networks for Neuroscience. In addition to Josić, researchers on the project include Genevera Allen, associate professor of statistics at Rice University; Xaq Pitkow, assistant professor of neuroscience at Baylor College of Medicine; Ankit Patel, assistant professor of neuroscience at Baylor College of Medicine; and Robert Rosenbaum, assistant professor of mathematics at the University of Notre Dame. Krešimir Josić, a mathematical biologist at the University of Houston, will lead a $4.39 million project funded by the National Science Foundation to develop new methods to analyze and interpret neural data. Listen to UH Moment: Decoding a Treasure Trove of Data from the BrainThe project is one of 17 NeuroNex awards, involving interdisciplinary teams of researchers formed to establish a national infrastructure to enhance understanding of brain function. Even with advances in capturing data from the brain, Josić said researchers still can’t provide a complete picture of brain activity. Through this project, the researchers will determine how to account for activity that isn’t directly observed but still affects cell behavior. He explains it this way: Imagine a room of 100 people, all exchanging information. You can only talk to 10 of those people, but you know they are influenced by the other 90. Your goal is to understand not only how information flows between members of the group of 10, but also how that information has been shaped by interactions with the other 90 people. The initial work will involve data gathered from the visual cortex of mice, later moving to data captured in more complex situations. Josić and Rosenbaum will study the link between cellular activity and brain function, developing theoretical models to interpret the data. Allen will lead development and validation of the proposed statistical techniques, while Patel, whose work is focused on machine learning, will focus on training artificial neural networks at tasks that parallel those in experiments. Pitkow, a theoretical neuroscientist, will lead the application of graphical models to the analysis of neural activity, stimuli and behavior for artificial and biological neural networks engaged in tasks. Andreas Tolias, an experimental neuroscientist at Baylor College of Medicine, will oversee the collection, curation and analysis of the neural activity data obtained by imaging the brains of mice. The interdisciplinary nature of the team is central to meeting the goals of the NeuroNex project, Josić said.